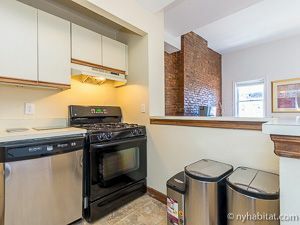 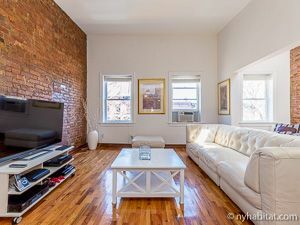 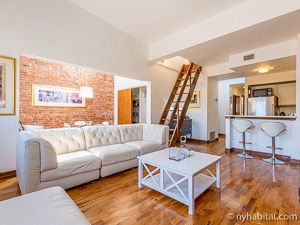 Welcome to the artsy and laid back streets of Clinton Hill in Brooklyn from this fully furnished three bedroom penthouse apartment rental on Clermont Avenue and Fulton Street. 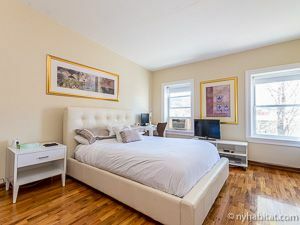 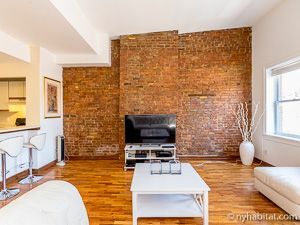 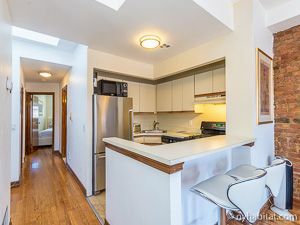 This listing is located on the fourth floor (third floor for Europeans) of a walk-up brownstone building and has a stunning private balcony and laundry access. 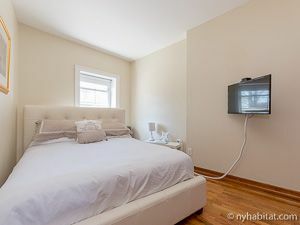 Each room has a smart television and every guest has access to Netflix free of charge! 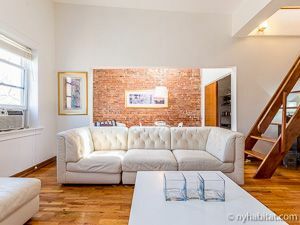 Equipped with sleek hardwood floors and large windows offering light, the Living Room is furnished with a sofa, Cable TV, and dining area with a rustic brick wall and a large closet with cooking and cleaning supplies. 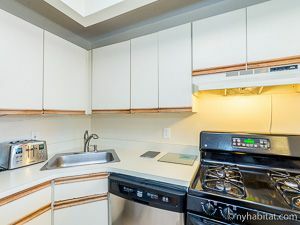 The open kitchen has wraparound cabinetry and is equipped with a fridge, freezer, oven, microwave, coffeemaker, toaster, and dishwasher. 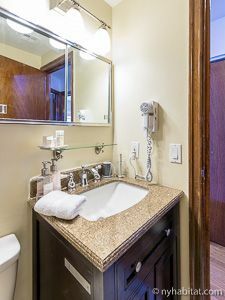 Bedrooms 1 and 2 are each fitted with a Queen-sized bed, air conditioning unit, Cable TV, and closet. 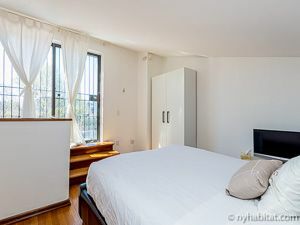 Bedroom 3 has a full-sized bed, private phone, Cable TV, and doors leading onto the stunning rooftop balcony. The bathroom has a shower, bath tub, and WC.